A valance sits neatly over the divan base and is a great way to finish a bed. It can cover an old divan and make it look refreshed and covers up any storage space under the bed. We can make valances for any size of bed. Because we make all our bedding here we can cut and make any size of valance. If you have an extra large bed or a deep divan we can make a valance to fit. As bespoke bedding manufacturers we can make a valance that fits the divan at the perfect drop. If you struggle to move the mattress when changing the bedding we have the answer. 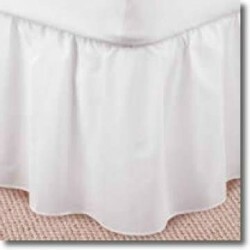 Valance sheets are a sheet with a frill attached, making them easy to change and launder. We make split corner valances for iron bedsteads that look great, we add break at each corner so the frill falls correctly. 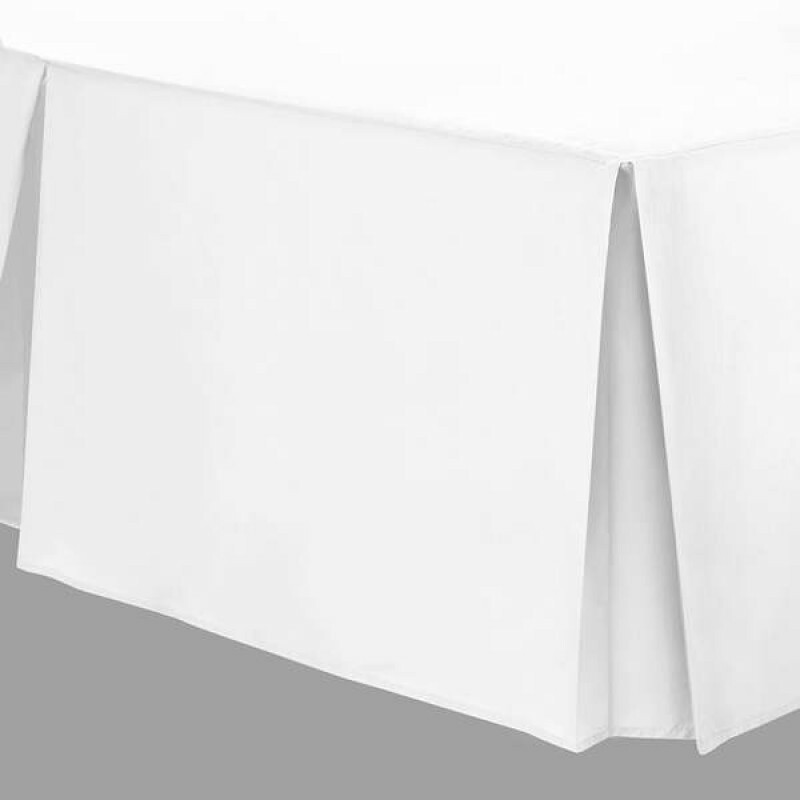 Plus we manufacture easy fit valances that attach round your bed base with velcro. Ideal for adjustable and zip & link beds. All valances are produced using high quality fabrics. 50/50 poly cotton or luxury 100% cotton in at least 200 threads to the inch. Take a look at our range below. If you can't find what you are looking for just call us on 01706 220020 or email us. We'll be happy to help. 4ft Bed Valance in 100% CottonValance to fit 122 x 191cm in 400 thread count cotton Made ..
Small Double Bed Valance to fit 4ft x 6ft 3in bedsValance in 11 colours to fit 122 x 191cm, 3/4 beds..
4ft Bed Valance in 100% CottonValance to fit 122 x 200cm in 400 thread count cotton Made ..
Small Double Bed Valance to fit 4ft x 6ft 6in bedsValance in 11 colours to fit 122 x 200cm, 3/4 beds..
6ft x 7ft Valance for California King BedValance to fit 183 x 215cm bed. Made to any drop in 1..